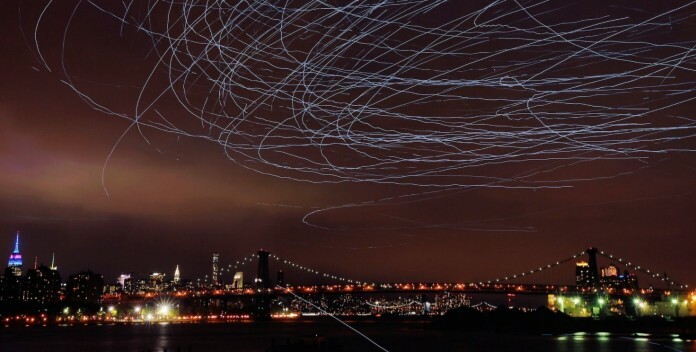 The drawing in the sky became even clearer when photographers left their shutters open to capture the pigeons’ light trails. The effect was stunning. This isn’t Riley’s first time turning pigeons into an artistic statement. In 2013, far before the United States and Cuba restored diplomatic ties, Riley created the performance piece “Trading With the Enemy,” in which homing pigeons carried cigars from Havana to Florida in protest of the U.S. embargo of Cuba. While “Fly by Night” is less politically motivated, Riley hopes it resonates with viewers as more than a unique light show. The show is sponsored by Creative Time, and will be repeated every weekend evening through June 12, weather permitting. 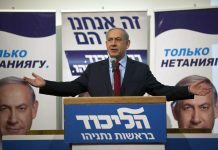 Next articleIs the France Jewish Community On Its Last Legs? Are you delusional? These pigeons are trained!